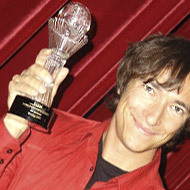 Nicolai Friedrich was honored in Las Vegas with the prestigious Sarmoti Award. This award, together with a 5,000 Euro cash prize, was presented by the world famous Siegfried & Roy. Together with the group »The flicking Finger« Nicolai Friedrich accepted the award for outstanding Originality and Innovation. The world famous magician David Copperfield has purchased the exclusive US TV rights from Nicola Friedrich for his creation »The Mona Lisa Smile«. 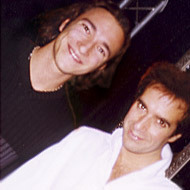 David Copperfield was impressed by the illusion which is about the most famous piece of artwork in the world, distinguishing Nicolai Friedrich as the first German magician from whom David Copperfield has purchased a magic trick. Nicola Friedrich still retains the right to perform this piece in live shows and on television programs outside of the United States. 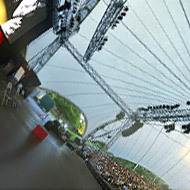 For the third time Nicola Friedrich performed his Solo Show to a sold out crowd in the amphitheater at Castle Phillipsruhe in Hanau. His performance does not need many words: Dream Weather, Dream Atmosphere, and 1300 ecstatic fans. Nicola Friedrich has written a book. 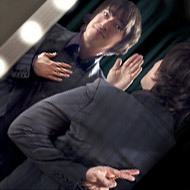 Many people have asked: Can Nicolai Friedrich transer his magic and talents beyond the stage and into everyday life? The answer is YES! 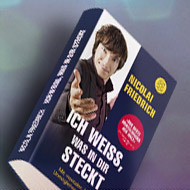 Nicolai Friedrich is currently debuting his book on the German television program TV Total. With his mental magic trick »Dice Experiment« he baffles Stefan Raab, demonstrating how easily he can interpret the facial expressions of the Moderator. Hier das Link zum TV Total Video. Nicolai Friedrich gave a guest lecture on the topic »How Mental Magicians Work« at the ACATIS Value Conference at the Johann Wolfgang Goethe University in Frankfurt am Main. There he shared insights from his own »bag of tricks« and explained to an astounded audience various principles in perception, influencing through suggestions and lie recognition. 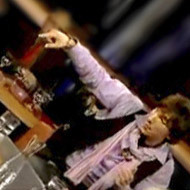 In addition to theoretical knowledge Nicolai demonstrated how these phenomenon’s actually work, thrilling his audience. After winning the World Championship in Beijing Nicola Friedrich is invited to the NDR Talk Show. He dazzled both the moderators. Barbara Schoeneberger and Steffen Hallaschka as well as the other featured guests. On Monday the 5th of October listeners to the Radio FFH show HIT, the second largest private radio show in Germany, will not believe their ears. 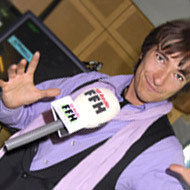 For one full week Nicola Friedrich will astonish the listeners in FFH land. Amazingly, the magic will not be limited to the studios, but will flow through the radio waves into homes and offices, directly into the hands of his listeners. Let yourself be surprised between 1-4 every afternoon on Hit Radio FFH. 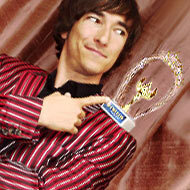 Nicolai was awarded for the Best Performance in the King’s Discipline for Mental Magic at the World Championship in Peking. Nicolai Friedrich has won the World Championship for Mental Magic in Beijing. The championship is held every three years in a different city in the world, and is highly / eminently respected among magical experts. This year Beijing, China’s capital city, had the honour of hosting this prestigious event. More than 2500 magicians from 66 countries visited the World Championship. From these 2500 magicians 100 had pre-qualified for the competition. 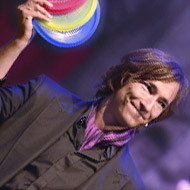 In the challenge among the mentalists Nicolai Friedrich achieved the highest score, exceeding his success at the world championship in 2000 at Lisbon where he won the prize of second best performance. With his groundbreaking and inventive performance Nicolai elated and amazed both the jury and the audience in Beijing, increasing his popularity throughout Asia. 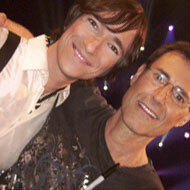 Nicolai Friedrich has made it to the finale of The Next Uri Geller! Millions were shocked and amazed by his unbelievable headline prediction. In the previous show Nicola Friedrich gave a sealed envelope to the shows Notary. The notary signed the envelope and kept it safe under lock and key. Before opening the prediction in front of the audience the notary confirmed that he and he alone had access to the envelope. The audience was thrilled to learn that Nicolai had predicted the exact headline which the celebrity guest Peyman had chosen from a variety of newspapers. Even Uri Geller was amazed and congratulated Nicola on his prediction! 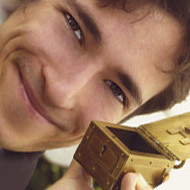 Nicolai Friedrich travels through the USA together with the world renowned magical group »Die Fertigen Finger«. Up first was an engagement at the exclusive Fechters Fingers Flicking Frolic Convention in Buffalo NY. 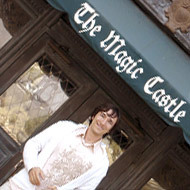 Afterwards he spent a week in Hollywood at the world famous Magic Castle. Following this visit Friedrich went to Las Vegas where he performed in a number of shows with a large variety of world famous magicians. The absolute highlight of the trip was a visit to New York with seminars, workshops and a large Gala Show at the Tribecca Performing Arts Center. 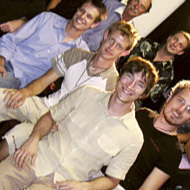 During a trip to South Africa Nicolai Friedrich was invited to the Collge of Magic in Capetown. 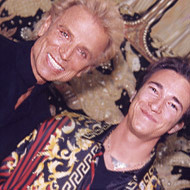 This project for magicians, truly one of a kind, was founded in and is supported by numerous world famous magicians including Siegfried & Roy. The college’s aim is to encourage children and youth, regardless of social background or skin color, to discover and be fascinated by the world of magic. Nicolai Friedrich amazed both professors and students with his show, and gave a small lecture at the end explaining and demonstrating a few of his tricks. The students, who had previously only known Friedrich through video, were thrilled. Nicolai Friedrich proudly presented his prediction of the outcome of Europe’s largest Formula 1 race live on RTL German Television. Even before the race began Friedrich locked his prediction into a safe and Nikki Lauda keept his eyes on it. In 2002 Nicola Friedrich repeated his success with the World Cup. Not only did he correctly predict the result, but he also predicted who would make both goals! When asked if he has supernatural talents, the magician simply grins and remains silent.